The Tomislavac Park is part of the Square of King Tomislav. It is located right behind the Art Pavilion and is one of the favorite parks of Zagreb. 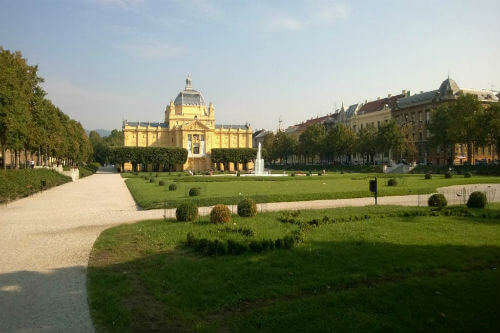 The park is bordered by the famous palaces, one such as of Vlaho Bukovac and the famous Feller house, which preserve intriguing historical events and stories, and is very popular and visited at all times of the year. In winter Tomislavac turns into an ice fairytale, bathed in Christmas spells and ornaments and the Christmas Fair, and this year the park also became the location of the largest winter ice rink, cheering up many fans of winter surprises.